Ford FX4 Rims and Tires For Sale, Rims are in excelent condition tires are in very good condition. 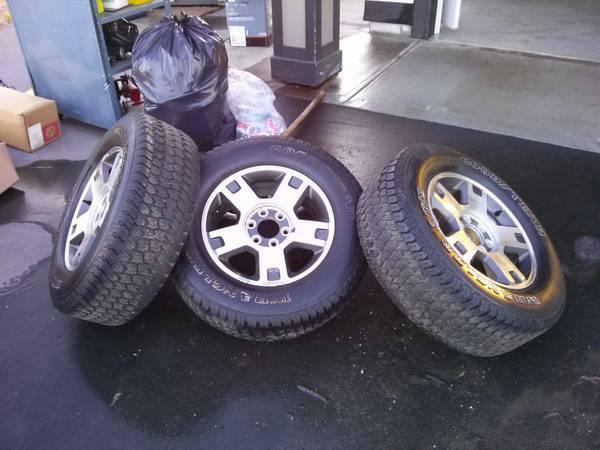 had them on my 2004 Ford FX4 But got different rims and tires and do not need these anymore. atleast 85% Tread left, $400 Email Or Call 604-218-9905 Mark.